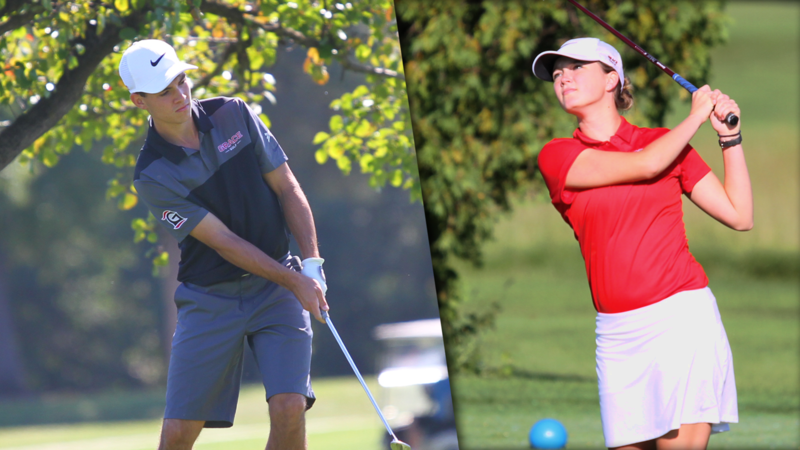 For the first time in school history, both Grace College’s men’s and women’s golf teams are headed to the NCCAA National Championships. Both squads qualified for the 2018 tournament, held jointly Oct. 22-24 at Hammock Beach Resort in Palm Coast, Fla. The Lady Lancers are making their first trip in program history as a team in just their fourth year of existence. Grace has already won two tournaments this fall under head coach Denny Duncan. Nine teams will comprise the field for the women’s NCCAA tournament, including Bethel (Ind. ), Biola (Calif.), Campbellsville (Ky.), Central Christian (Kan.), Erskine (S.C.), Oakland City (Ind. ), Ottawa (Ariz.) and Southwestern Christian (Okla.). Three members of Grace’s team have national tournament experience. Lauren Keiser, Anna Marshall, and Sydney Abbott have all qualified for NCCAA Nationals as individuals in recent years for Grace. The men’s team is returning to NCCAA Nationals under head coach Denny Hepler. Grace’s last trip was in 2016 when the team finished fourth. The men’s tournament is held simultaneously at Hammock Beach Resort with the women’s tourney. The Lancers will be one of 12 teams in the men’s field, joining Bluefield (Va.), Bob Jones (S.C.), Campbellsville, Cedarville (Ohio), Central Christian, Columbia International (S.C.), Erskine, Oakland City, Ottawa, Southwestern Christian and Northwestern (Minn.). For more information on the women’s tournament, including pairings, live scoring, and leaderboards, click here.